Viewing this ad through the lens of media as culture requires an understanding of fast-food culture, the ideologies behind it, and how they apply to this Pizza Hut ad (Pizza Hut organization). It also defines pizza as: ‘A dish typically of flattened bread dough spread with a savory mixture usually including tomatoes and cheese and often other toppings and baked’. Fast-Food is sometimes also known as ‘Junk food’, ‘Quick-Service food’ or ‘Convenience food’. The modern concept of fast-food evolved in 1916, when Walter Anderson built his first White Castle in Wichita, KS. This introduced the limited menu, high volume, low cost, high speed hamburger restaurant (Jim Farrell, 2008). The combination of these elements enable fast-food restaurants to position themselves as symbols of wealth, progress, and well-ordered openness of society (Eric Schlosser, 2001). Pizza Hut is the world’s largest pizza restaurant, with more than 7,500 outlets in the U.S., and more than 5,600 outlets in 97 countries worldwide (Yum! Brands statistics, 2010). Pizza Hut restaurants worldwide all have the listed elements as part of their appeal. In addition, the Pizza Hut ad projects a homely, welcoming feel, coupled with the ‘predictable’ hot, melted cheese on a pizza. Eric Schlosser states that fast-food has become such a part of modern culture that people take it for granted. It is so commonplace and routine that ‘Hundreds of millions of people buy fast food every day without giving it much thought, unaware of the subtle and not so subtle ramifications of their purchases. They rarely consider where this food came from, how it was made, what it is doing to the community around them. They just grab their tray off the counter, find a table, take a seat, unwrap the paper, and dig in. The whole experience is transitory and soon forgotten’ (Eric Schlosser, 2001). As it’s possible to write entire thesis on each issue, I’ll only give a general summary of main points on each. Health is probably the most visible concern when it comes to fast-food, and it is the subject of much research and debate. There have been studies conducted on how fast-food consumption leads to obesity and increased risk of serious medical conditions (Anna Gosline, 2006), (American Journal of Preventive Medicine, 2004), (Dr. Mark Hyman, 2010), (Brian Halweil, 2006). Studies have also been conducted on how fast-food advertising is a major influence on consumption habits (Fast-Food Restaurant Advertising on Television and Its Influence on Childhood Obesity, 2006), (Mary Story & Simone French, 2004). There have also been cases of people taking a fast-food restaurant to court to sue them over health issues (BBC News, 22-Nov-2002). For example, maintenance supervisor Caesar Barber sued McDonald's, Burger King, Wendy's and KFC for causing him obesity, diabetes, high blood pressure and two heart attacks (Fox News, 24-Jul-2002). What’s more interesting about this case is that Caesar Barber’s suit resulted in public and media backlash against him. His lawyer, Samuel Hirsch, commented that ‘Unlike the tobacco companies, who are viewed as malevolent groups..., people love the fast-food chains. McDonald's is an icon in America. We are attacking a beloved icon’ (The Guardian, 27-Aug-2002). Movies such as ‘Super Size Me’ have also pointed out that fast-food is ‘physiologically addictive and physically harmful’ (Super Size Me, 2004). In response, many fast-food restaurants have started introducing more healthy options, like having salad or milk as an option. They’ve also made nutritional information more visible within each outlet. Another step they’ve taken is to involve themselves into more community service projects, such as the Ronald McDonald Children’s Charity. In this area, Pizza Hut has provided options such as vegetarian pizza, or providing nutritional information on their website. Critics of fast-food say it has created a culture of instant gratification in people. They point to studies such as those conducted by the Psychological Science Journal (Psychological Science, 2010), to claim that fast food triggers haste and impatience. The lead researchers, Chen-Bo Zhong and Sanford DeVoe, say that ‘it is possible that a fast food culture that extols saving time not only changes the way people eat, but also fundamentally alters the way they experience events’. Of course, it could also be argued that the culture of instant gratification is what made the culture of fast-food popular. Regardless of perspective, instant gratification and fast-food are inexorably linked. Critics of fast-food have also pointed out the detrimental effects of the industrial production of supplies like meat, grains and vegetables. They claim the practices used are inhumane, economically and environmentally unsustainable (Eric Schlosser, 2001). Movies such as Food, Inc. (Food, Inc., 2008), have also highlighted this. As a result, an entire sub-culture known as ‘Slow-Food’ has arisen in many parts of the world (Slow Food). Founded in 1986 by Carlo Petrini to oppose the opening of a McDonald's near the Spanish Steps in Rome, slow-food strives to preserve traditional and regional cuisine and encourages farming of plants, seeds and livestock characteristic of the local ecosystem. Their goals of sustainable foods and promotion of local small businesses are in direct contrast to the fast-food agenda of globalization and standardization. Slow-Food can therefore be considered a subversive or oppositional point of view of fast-food culture. Fast-food is such a part of the public consciousness that seeing the logo of a major fast-food franchise brings instant recognition. Another point would be the creation of fast-food mascots. These ‘ambassadors’ of the fast-food brand, while doing very little to add to the actual dining experience, are also a major part of the culture of fast-food. Again, most mascots of world-wide brands are instantly recognisable. There have been many parodies on fast-food mascots in media, of which three examples are given below. These three examples utilize intertextuality, codes, and also tap on other cultures as a reference, and as a result, have gained widespread recognition. 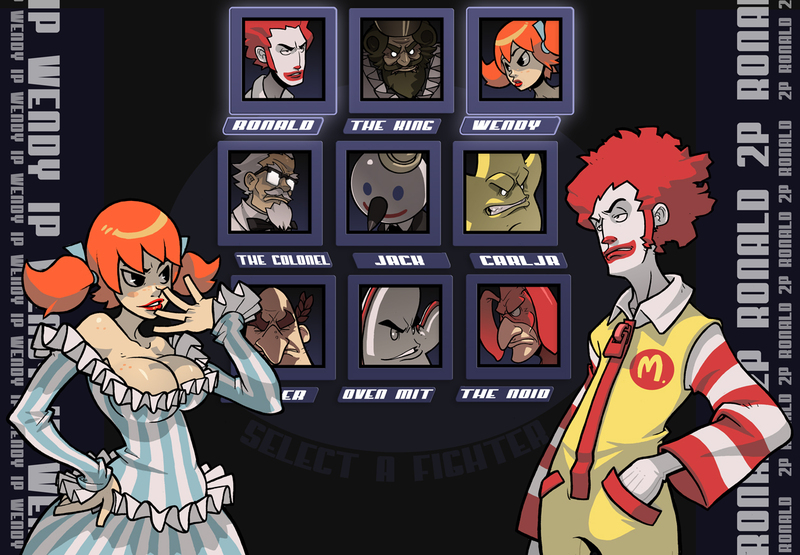 Fast-Food mascots are parodied as a video game reminiscent of ‘Street Fighter Alpha’. Utilizes the culture of video games. 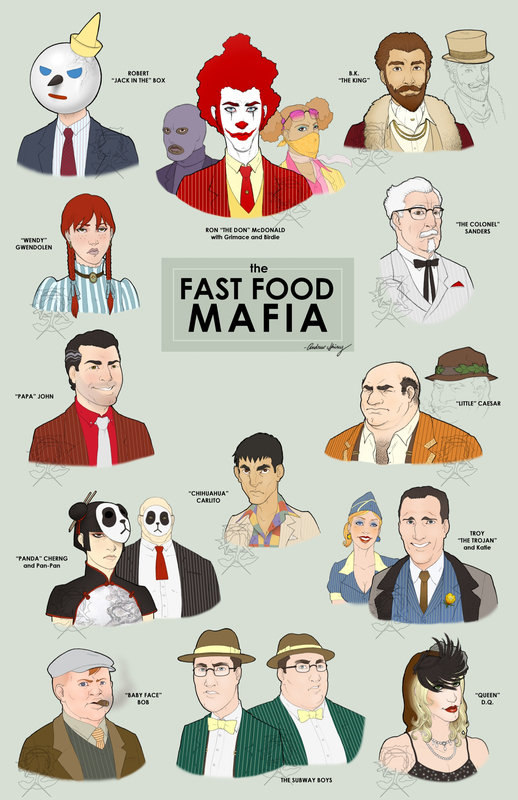 Fast-Food mascots are re-imagined as members of a Mafioso. Utilizes the mafia culture. Ronald McDonald is re-imagined as the Joker, Batman’s nemesis in the film The Dark Knight (2008), who was played by Heath Ledger. 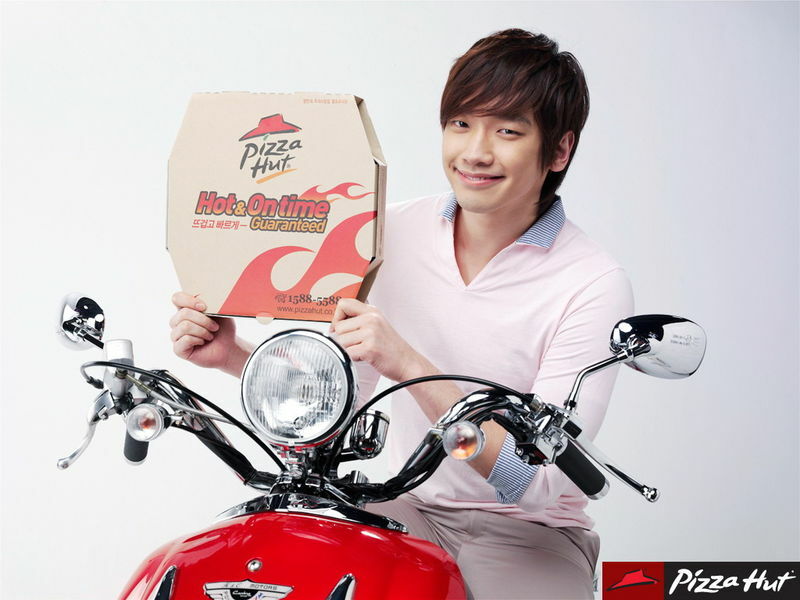 Pizza Hut Ad featuring South Korean celebrity ‘Rain’, who is a pop singer, dancer, model, actor, businessman, and designer, as a Pizza Hut Delivery Man (Rain the Pizza Hut Delivery Man, 2009). I’ve never realised the extent of impact that fast-food has had on culture until now. Also, I have gained new insight into the various concerns raised as a result of the fast-food culture. 1. Pizza Hut organization: http://www.pizzahut.com.sg/. Web Site. 2. Merriam–Webster Dictionary: Definition of Fast-Food. Retrieved December 05, 2010 from http://www.merriam-webster.com/dictionary/fast-food. Web Document. 3. Jim Farrell, (2008). The Evolution of the Quick Service Restaurant. Retrieved December 05, 2010 from http://jpfarrell.blogspot.com/2007/11/evolution-of-quick-service-restaurant.html. Web Document. 4. Eric Schlosser, (2001). Fast Food Nation: The Dark Side of the All American Meal. Published by Houghton Mifflin Company. ISBN 0395977894. Book. Retrieved December 05, 2010 from http://books.google.com.sg/books?id=yNFN1OpnkBkC&printsec=frontcover#v=onepage&q&f=false. Web Document. 5. Yum! Brands statistics, (2010). Retrieved December 05, 2010 from http://www.yum.com/company/ourbrands.asp. Web Document. 6. Anna Gosline, (2006). Why fast foods are bad, even in moderation. Retrieved December 05, 2010 from http://www.newscientist.com/article/dn9318. Web Document. 7. American Journal of Preventive Medicine, Volume 27, Number 3 (2004). Fast Food, Race / Ethnicity, and Income: A Geographic Analysis. Retrieved December 05, 2010 from http://minority-health.pitt.edu/archive/00000469/01/Fast_Food,_Race-Ethnicity,and_Income.pdf. Web Document. 8. Dr. Mark Hyman, (2010). Why Quick, Cheap Food Is Actually More Expensive. Retrieved December 05, 2010 from http://www.huffingtonpost.com/dr-mark-hyman/why-quick-cheap-food-is-a_b_681539.html?view=print. Web Document. 9. Brian Halweil, (2006). The Global Spread of Food Uniformity. Retrieved December 05, 2010 from http://www.worldwatch.org/system/files/GS0013.pdf. Web Document. 10. Fast-Food Restaurant Advertising on Television and Its Influence on Childhood Obesity, (2006). Retrieved December 05, 2010 from http://www.aeaweb.org/annual_mtg_papers/2007/0106_1015_2004.pdf. Web Document. 11. Mary Story & Simone French, (2004). Food Advertising and Marketing Directed at Children and Adolescents in the US. Retrieved December 05, 2010 from http://www.ncbi.nlm.nih.gov/pmc/articles/PMC416565/pdf/1479-5868-1-3.pdf. Web Document. 12. BBC News, (22 November 2002). McDonald's targeted in obesity lawsuit. Retrieved December 05, 2010 from http://news.bbc.co.uk/2/hi/americas/2502431.stm. Web Document. 13. Fox News, (24-Jul-2002). Ailing Man Sues Fast-Food Firms. Retrieved December 05, 2010 from http://www.foxnews.com/printer_friendly_story/0,3566,58652,00.html. Web Document. 14. The Guardian, (27-Aug-2002). It's fat, fat and more fat. Retrieved December 05, 2010 from http://www.guardian.co.uk/world/2002/aug/27/usa.health. Web Document. 15. Super Size Me, (2004). Movie. 16. Psychological Science, Vol. 21, No. 5 619-622, (May 2010). Fast Food and Impatience. Retrieved December 05, 2010 from http://pss.sagepub.com/content/21/5/619. Web Document. Summarised by: Not Exactly Rocket Science blog. Retrieved December 05, 2010 from http://scienceblogs.com/notrocketscience/2010/03/fast_food_logos_unconsciously_trigger_fast_behaviour.php. Web Document. 17. Food, Inc., (2008). Movie. 18. Slow Food: http://www.slowfood.com/. Web Site. 19. Extra Value Combo Alpha by Lysol-Jones, (2007) [Image]. Retrieved December 05, 2010 from http://lysol-jones.deviantart.com/art/Extra-Value-Combo-Alpha-66945355. Web Image. 20. Fast Food Mafia by SilentSketcher, (2009) [Image]. Retrieved December 05, 2010 from http://silentsketcher.deviantart.com/art/Fast-Food-Mafia-final-131302790. Web Image. 21. McDonald’s Demotivational Poster by motifake.com, (2008) [Image]. Retrieved December 05, 2010 from http://www.motifake.com/mcdonalds-cubby-demotivational-poster-14360.html. Web Image. 22. 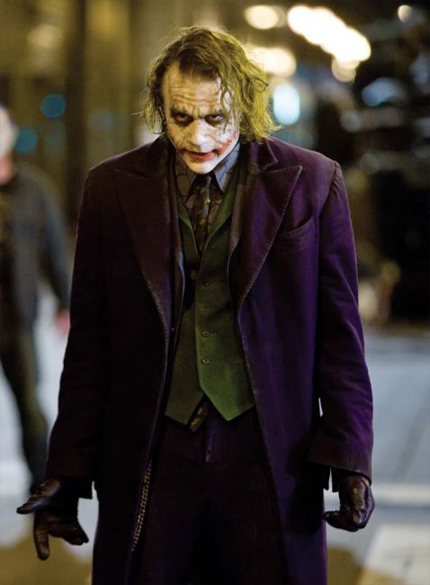 The Joker from The Dark Knight, (2008) [Image]. Retrieved December 05, 2010 from http://wonderlandgoldens.com/assets/joker_wizardfull.jpg. Web Image from Movie. 23. Rain the Pizza Hut Delivery Man, (2009) [Image]. Retrieved December 07, 2010 from http://rain-cloud.co.kr/pds/board/200905/4%285%29.jpg. Web Image. Viewing this ad through the lens of media as texts requires an understanding of Semiotics, the study of signs and meaning. In Ferdinand de Saussure's theory of structuralism (Saussure, 1916 – Published as Writings in General Linguistics, 2006), a sign is defined as anything that conveys meaning, and refers to something other than itself. It could be a word, a picture, a sound, a light, etc. According to him, any sign is composed of two parts, the Signifier, and Signified. These two parts are inter-related, and cannot be thought of separately. However, viewing the sign on its own is not enough. We will also have to examine how the sign fits into the larger system, to fully comprehend its meaning (Jeff Lewis, 2002). We will analyse the Pizza Hut advertisement with these. · Large font size of main text – ‘If you thought the Cheesy 7 was sheer indulgence, think again’. In examining the larger system (Jeff Lewis, 2002), we know that the ad falls under the system of fast-food (Jeremy White, 2010), the sub-system or genre of pizza, and the medium of brochure advertising (Fiske and Hartley, 1978). The placement of the Halal logo implies that it is Turkey Ham instead of pork. This implication arises from the fact that Fast-Food restaurants worldwide often use turkey meat as a substitute for pork (Lane and Duffy, BBC News Magazine, 2007). The genre of pizza advertising often includes portraying pizza as hot, fresh, and with melted cheese that ‘pulls’ as you lift out a slice. An example would be a behind the scenes look at a Domino’s Pizza photo shoot here (Domino's Pizza Behind The Scenes Photo Shoot). The Pizza Hut advertisement for its ‘Cheesy 7’ pizza does this to great effect. One noticeable element that is missing is the message of quick delivery. Overall, this shows that the larger system has shaped the way this Pizza Hut ad was developed, and that the larger system itself carries meaning. The main drawback of the textual view of media is that meaning is a constructed interpretation based on the viewer’s individual life experience (Jeff Lewis, 2002). Thus, different people might arrive at different conclusions even though they see the same thing. For example, a vegetarian might see the Pizza Hut advertisement as the taking of life, or someone who is lactose-intolerant might view this with disgust. The post-structuralism view of media states that meanings are generally created by the powerful to retain their power (Jeff Lewis, 2002). A cynical world-viewer may therefore say that this ad is enticing people to spend unnecessarily on food, and that it only enriches the Pizza Hut organisation. Another drawback might lie in the use of food photography techniques, as often, the food presented in reality won’t look as appetising as the advertisement. Through viewing media as texts, I've realized that different people might view the same things differently, and interpret things from their own perspective. 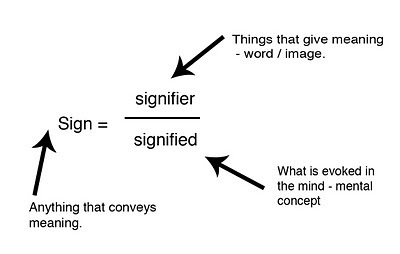 I also have a better understanding of how the larger system plays a part in constructing meaning for a message. 1. Ferdinand de Saussure (Author, 1916). Simon Bouquet (Editor) & Rudolf Engler (Editor) (2006). Writings in General Linguistics. Oxford University Press, USA; 1st THUS edition. ISBN 019926144X. Retrieved November 30, 2010 from http://www.amazon.com/Writings-General-Linguistics-Ferdinand-Saussure/dp/019926144X#reader_019926144X. Book. 2. Ferdinand de Saussure's Theory (1916) – 'Structuralism'. Sam Wallbank (2010) [Image]. Retrieved November 30, 2010 from http://s-wallbank0912-cts.blogspot.com/2010/03/semiotics-notes.html. Web Image. 3. Jeff Lewis (2002). “Language and Culture: From Structuralism to Poststructuralism” in Cultural Studies: The Basics. London: Sage, pp. 145-170. Retrieved November 30, 2010 from http://digital.lib.rmit.edu.au/ereserve/notes07/comm2289/31259007840254.pdf. Web Document. 4. Pizza Hut organization: http://www.pizzahut.com.sg/. Web Site. 5. Jeremy White (2010). Is Pizza Fast Food? Retrieved November 30, 2010 from http://blog.chicagoconnection.com/2010/07/is-pizza-fast-food/. Web Document. 6. John Fiske and John Hartley (1978), "The Signs of Television," in Reading Television. London : Methuen, pp.37-58. 7. Fast Food F.A.C.T.S. Report (2010). Retrieved November 30, 2010 from http://www.fastfoodmarketing.org/media/FastFoodFACTS_Report.pdf. Web Document. 8. Megan Lane and Jonathan Duffy, BBC News Magazine (2007). How Turkey Became a Fast Food. Retrieved November 30, 2010 from http://newsvote.bbc.co.uk/mpapps/pagetools/print/news.bbc.co.uk/2/hi/uk_news/magazine/6331007.stm. Web Document. 9. Domino's Pizza Behind The Scenes Photo Shoot. Retrieved November 30, 2010 from http://www.youtube.com/watch?v=stzmHm6eF-0. Web Video. 10. Effective Brochure Design. Retrieved November 30, 2010 from http://www.myprofessionaladvertising.com/Effective%20Brochure%20Design.htm. Web Document. 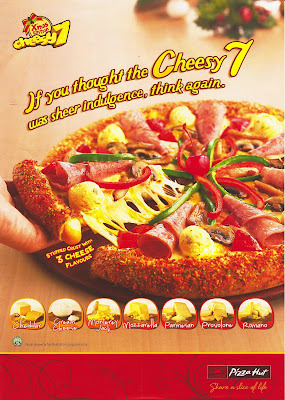 I've selected an advertisement from Pizza Hut that features their latest product, the "Cheesy 7 X'Mas Edition" Pizza. Viewing this ad through the lens of media as instruments requires an understanding of how media works as a process. In An Introduction to Communication Studies (John Fiske, 1990) explains that Shannon and Weaver first developed this model based on their work as telephone engineers. They wanted to find the most efficient way of sending information through either the telephone cable or the radio wave. Their theory however, is also widely applicable over the whole range of human communication. We will be using these elements in our analysis of the Pizza Hut advertisement. Pizza Hut is advertising their latest product, which is a pizza that has seven different types of cheese among the ingredients. The name of the pizza, "Cheesy 7", already conveys this message. Furthermore, the names and images of the seven different cheeses are portrayed in the ad, just below the image of the pizza. They are: Cheddar, Cream Cheese, Monterey Jack, Mozzarella, Parmesan, Provolone and Romano. The pizza will be available for a limited time, as the image in the top left corner states "X'Mas Edition". This implies that the Cheesy 7 pizza will only be on sale over the Christmas season, which is generally the months of November and December. The further implication is that the Cheesy 7 pizza will no longer be available for sale after this period. The main image in the advertisement is the "Cheesy 7" pizza itself, which is portrayed to be topped with succulent ingredients in the festive Christmas colors of red and green. This lends further weight to the idea of a "limited time only" offer. The crust of the pizza is portrayed to be stuffed with oozy cheese, along with the words "Stuffed Crust with 3 Cheese Flavours". This is another selling point for Pizza Hut, as most pizzas don't contain cheese-stuffed crusts. However, the three cheese flavors inside the stuffed crust are not mentioned. 1. Build product category wants - In this case, pizza. 2. Creating brand awareness - The Pizza Hut brand. 3. Enhancing attitudes and influencing intentions - The image oriented Pizza Hut ad evokes a feeling a festivity, and a desire to buy and eat the “Cheesy 7” pizza. 4. Facilitating purchase - In this case, the limited time offer creates a sense of urgency to buy the pizza before it's unavailable. Overall, Pizza Hut is sending the message that they have a delicious new pizza, available only over the Christmas season, which contains seven types of cheese. They want the viewer to feel a sense of hunger and desire to try it. Pizza Hut has chosen a large brochure format to advertise the "Cheesy 7". This allows them to have a large colourful image of the pizza. It looks attractive, and is easily noticed. This ensures that anyone that catches even a glimpse of it will remember it, as it forms a mental image in the mind of the receiver. Additionally, this particular brochure was distributed along with the Straits Times. The Straits Times is a Singaporean newspaper, with a large distribution base, and is considered to be a reputable and trustworthy publication. The receiver in this case will be anyone who sees the brochure. Of course, it could be said that Pizza Hut's target audience would be everyone, especially children and people who like pizza, cheese, or festive foods. However, there are an infinite number of situations and environments under which a person could potentially see this brochure. This makes it impossible to predict the outcome, or control how the message reaches the receivers. Knowing this, Pizza Hut has chosen to distribute the brochure along with the Straits Times. By doing this, they can at least ensure that the brochure reaches the majority of English-speaking Singaporeans. Furthermore, the receiver is likely to read the news early in the day, which will lead to them seeing the brochure. This could induce them to try out the pizza during lunch or dinner. In discussing the type of people who are most affected by the media agenda, the book ‘A First Look at Communication Theory’, mentions that people with a high index of curiosity are more willing to allow media to shape their thinking (Emory A. Griffin, 2009). These type of people would make the best receivers. As this is a recent advertisement, it would be difficult to measure the effect or impact of this ad on the general public. However, food advertisements that lead to the general public consuming the advertised product is well documented in many statistics. In Food Advertising in the United States (Anthony E. Gallo, 1999), it is stated that fast-food advertising accounts for at least 28% of all food advertisements. CEO of Optimedia US, Antony Young, states that Pizza Hut leads the US $29 billion pizza sales category with 18% of all pizza sales (Antony Young, 2009). Marketing Director of Taradel.com, Chirs Barr, states that whenever Pizza Hut or any other pizza franchise delves into a national ad campaign, they will see two effects. Firstly, they will see orders for the advertised product increase, and secondly, they will establish their brand image more strongly in the public consciousness (Chris Barr, 2010). The Health Promotion Journal of Australia 2006, mentions that the heightened desire for advertised products has been observed to translate into purchase requests, and does not diminish with age (Dr. Owen B.J. Carter, 2006). Thus, we can conclude that Pizza Hut's latest advertisement for the "Cheesy 7" would result in more sales of the product. Through viewing media as instruments, I've realized how senders select a channel of communication to carry their message to their receivers more effectively. I've also gained some insight into how a sender thinks through the entire communication process before developing a message for their audience. 1. Warren Weaver and Claude Elwood Shannon (1963). The Mathematical Theory of Communication. Univ. of Illinois Press. ISBN 0252725484. Book. 2. The Shannon-Weaver Mathematical Model, 1949 [Image]. Retrieved November 28, 2010 from Retrieved November 28, 2010 from http://www.shkaminski.com/Classes/images/Shannon-Weaver%20Model.gif. Web Image. 3. John Fiske, (1990) “Communication Theory” in An Introduction to Communication Studies. Second Edition. London and New York, Routledge, pp.6-8. Retrieved November 28, 2010 from http://digital.lib.rmit.edu.au/ereserve/notes08/comm2281/31259008893054.pdf. Web Document. 4. Terence Shimp, 2000 “The Communication Process” in Advertising Promotion. Fifth Edition. Fort Worth: The Dryden Press, pp. 116-119. Retrieved November 28, 2010 from http://digital.lib.rmit.edu.au/ereserve/notes09/comm2281/31259008898772.pdf. Web Document. 5. Pizza Hut organization: http://www.pizzahut.com.sg/. Web Site. 6. Emory A. Griffin, (2009) "Agenda-Setting Theory" in A First Look at Communication Theory. Seventh Edition. Boston: McGraw Hill, pp. 363-364. Retrieved November 28, 2010 from http://digital.lib.rmit.edu.au/ereserve/notes09/comm2281/31259008896222.pdf. Web Document. 7. Anthony E. Gallo, (1999) “Food Advertising in the United States” in America's Eating Habits: Changes and Consequences (Edited by: USDA/Economic Research Service). Washington, DC, USDA 1999, pp. 174-175 / 2-3. Retrieved November 28, 2010 from http://www.ers.usda.gov/publications/aib750/aib750i.pdf. Web Document Excerpt, from Book. 8. 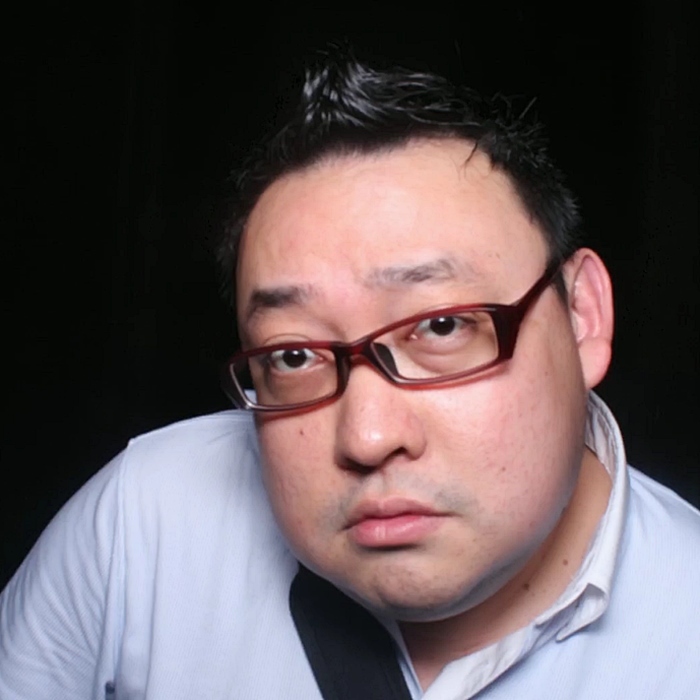 Antony Young, (2009). Pizza Hut vs. Domino's: Who Delivered the Best Media Strategy? Retrieved November 28, 2010 from http://adage.com/mediaworks/article?article_id=139027. Web Document. 9. Chris Barr, (2010). How the "Big 3" Pizza Chains Use Direct Mail to Develop New Markets. Retrieved November 28, 2010 from http://ezinearticles.com/?How-the-Big-3-Pizza-Chains-Use-Direct-Mail-to-Develop-New-Markets&id=4002605&opt=print. Web Document. 10. Dr. Owen B.J. Carter, (2006).Centre for Behavioural Research in Cancer Control, Curtin University of Technology, Western Australia. The weighty issue of Australian television food advertising and childhood obesity, pp. 8. Retrieved November 28, 2010 from http://cbrcc.curtin.edu.au/reports/journal%20articles/hpja%2017%205-11.pdf. Web Document.